I’m eye to eye with you, astonishing fellow creature. The phrase “astonishing fellow creature” was one of the finishing touches to this poem, made when Zeppelin was close to being finished. 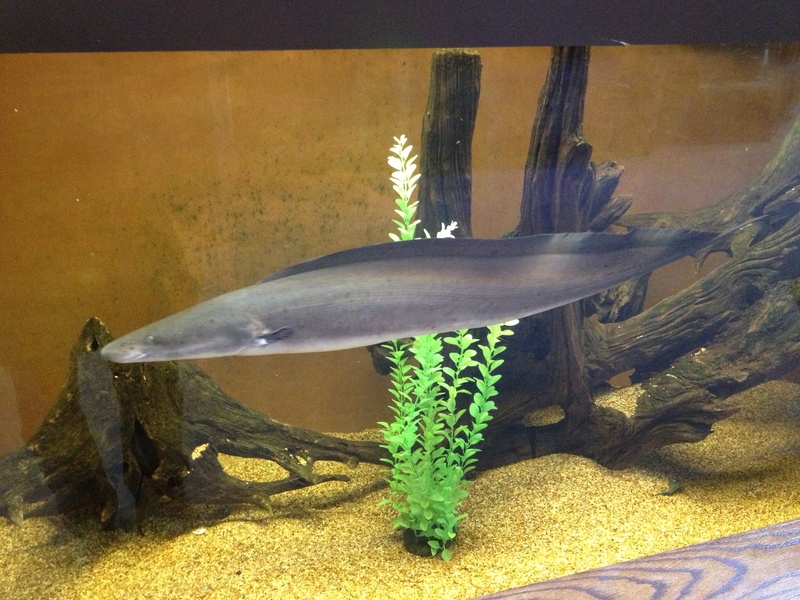 The image of the Zeppelin as a living thing echoes the comparison of the aba aba, an African electric eel, to a Zeppelin in “On Your First Visit to the Zoo”, near the end of the book. But personification is present throughout the book— Telstar in “AM Nocturne”, the sparrow in “Eclogue”—and also things animated but with an inhuman quality, alive, but uncanny—the title “characters” of “It” and “Shawarma”. 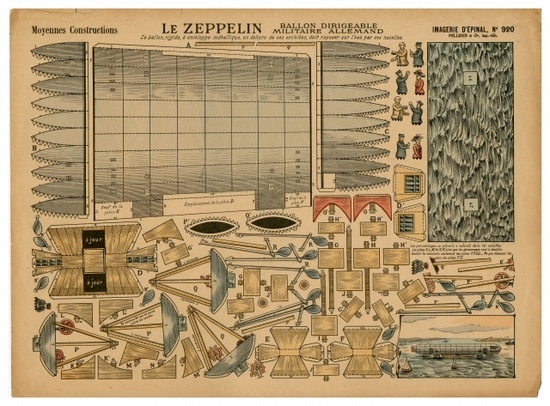 One of the organizing principles of Zeppelin was to bring together poems that interact with contemporary mythology, often as exemplified through pop culture. I say “interact” because the poems are explorations of how to use such material. I’ve come to expect that ideas and images that occur to me in this vein will turn out to have precedents—whether or not I was aware of them. In size and shape, a zeppelin associates easily with a whale or a massive eel so it’s not surprising to find other instances of zeppelin-creatures. 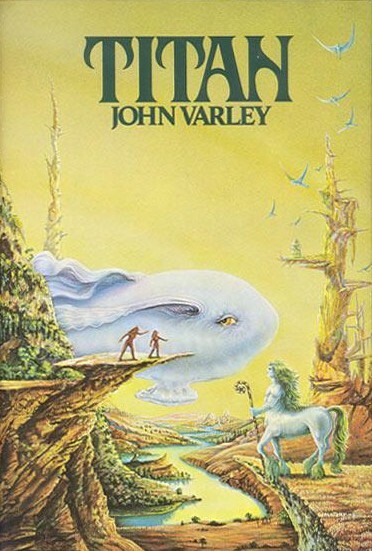 John Varley’s novel Titan, for example, includes creatures called Blimps, giant, sentient airship-like creatures. Varley’s novel is from 1979, when I was eight. In looking for other examples, I came across TV Tropes, which has in some ways—some fruity ways—filled the vacancy for an Edith Hamilton of the types and arcs of modern fantasy. An article on Space Whales attributes the establishment of such creatures as a stock image to the seventies and interest in whale song to 1971, the year I was born. There are many instances in the book of references to childhood and to my childhood experiences specifically—the second section of “AM Nocturne”, for example. But in many other cases, it was only later that I found connections between something I had written and the time when I was little. In a recent interview in The Toronto Quarterly, I talk about the traditions that inspire the way I use personal material in my work, including Surrealism, from which I also get the idea of automatic writing, a frequent part of my process. More than any specific effect or surface quality, the combination of conscious and unconscious associations in the opening poem, of intimate personal detail and realities remote and esoteric enough to seem mysterious or magical is satisfyingly surreal. And here is the first key to the concern I mentioned above with how to use pop cultural imagery: the book opposes various easy and familiar treatments—the supposed shock value or instant innovation of using “unpoetic” material, playing it for laughs, playing it as an index of our decay—with an open and sincerely high cultural exploration of how we are truly penetrated by such things as zeppelins, comic book characters, Las Vegas. For so many of us, these things are part of what has quickly become not one reality among several that can be chosen, but our given mental and spiritual landscape, much as the city has become the dominant physical landscape. The opening poem is invitation to travel through times past, through fantasies, in search of understanding. only to reappear as a thing available to utopian visions. Listen to my conversation with Nancy Bullis about Zeppelin, including readings from the book, part of the May 7th, 2013 instalment of Nancy and Nik Beat‘s long running poetry and spoken word show, Howl, on CIUT 89.5FM, University of Toronto radio. I won’t compete here with other sources of general info about Steampunk. In brief, it is a sub-genre within science fiction, one that finds expression not only in literature, film and art, but also in a subculture and lifestyle. 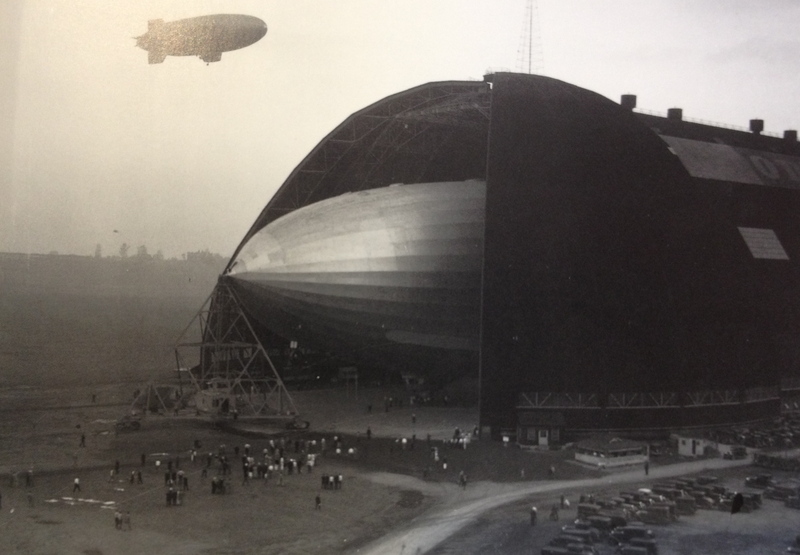 Its hallmark is the combination of futuristic and vintage elements: airships are a frequent reference. You can follow the link above to learn more, which I recommend in the sense that the labyrinthine tracery of Steampunk’s many tendrils is part of what makes it a mot juste for me quite apart from the specifics of its style. 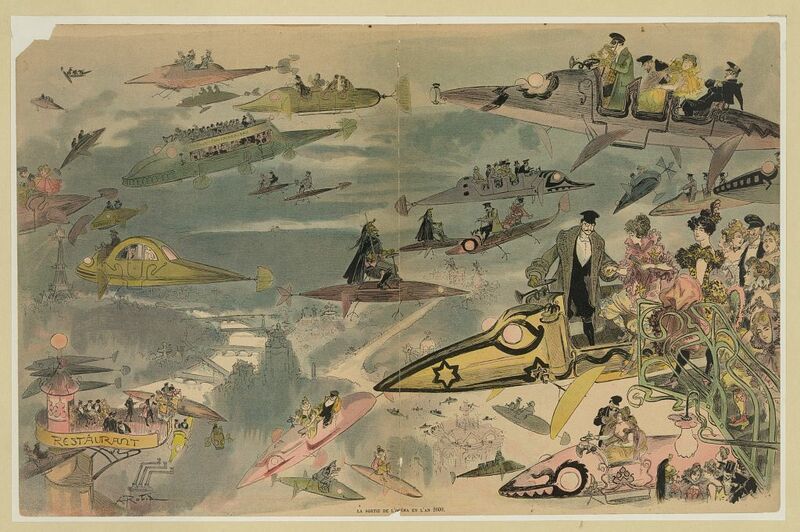 The term “steampunk” has a canonical moment of origin. Search and you’ll find it credited repeatedly to novelist K.W. Jeter, one of whose novels features H. G. Well’s Morlocks using his famous time machine to terrorize Victorian London. The word came info this poem late and not as a result of any passion for the genre. It sounds pleasant in conjunction with “surrealism” in the line, and the two terms expand on the charm of the image’s “antique tones” possibly representing “high” (surrealism) and “low” (steampunk) dimensions of such charm. When Heinrich Schliemann found the site of Troy, object of his lifelong quest, he immediately blasted to the bottom of the site through multiple layers of settlement, convinced that the earliest, deepest layer must be true. On a surface level, there’s much nostalgia in Zeppelin, in the introductory poem and throughout. And Steampunk is, in part, a nostalgic style. Going deeper, Steampunk seems to me to be one expression of a recurrent impulse, characteristic of many of my poems and characteristic of our time: the impulse to use our awareness of history to trace back to a place where we might find a lost turn toward a better, or at least more interesting, present. its antique tones, its steampunk and surrealism. On Friday, I finally had a chance to search out a copy of Alvin Rosenbaum’s Work’s in Progress at the Toronto Reference Library. It wasn’t easy for the library staff! While the books lives in the stacks, it turns out to be improperly coded in the online catalogue preventing a library patron from making a stacks request. Thanks to Ainy, Lily and Krystyna at the Business, Science and Technology desk who persisted in tracking down the book for me. The image is credited simply to the Goodyear Tire and Rubber company. I’ve enjoyed searching around for this image online which has brought in contact with many weird and wonderful things. But there was a special thrill both in finding the actual photo and in finding it to be a standout: for the most beautiful of all, and clearly the reference of the details in the poem. 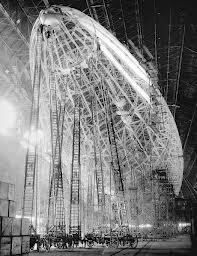 The slideshow gives you a bit of a walk through the book, including the spread which includes the photo and also an image of the hangar under construction. First in a set of supplemental in-flight safety tips. While the craft is designed to be intuitive and comes equipped with some ballast at its tail, you may find these notes helpful, or diverting, in operating your Zeppelin. The cover is the work of Carleton Wilson. He designed the handsome typeface and adapted the Zeppelin image from Zeppelin: The Story of A Great Achievement by Harry Vissering (1922). Follow the link to view the wonderful Project Guttenberg eBook version which includes the orginal books many amazing and charming photos, illustrations and diagrams. Below is a small sampling.